I’ve never been a Superman guy. Batman, Spider-Man, even Flash, but never really Superman. I like my superheroes to have up to one superpower, maximum. It’s the limitations that make things interesting. Superman, meanwhile? It’s kind of boring to be the guy who can do everything. So I went to a screening of “Man of Steel” on Father’s Day putting the film in a no-win situation. If it was the square-jawed Superman of old, it would be kind of dorky. And if it attempted to “Dark Knight”-ify Superman (Christopher Nolan produced and co-wrote), well then, it betrayed all that dorkiness at the heart of Superman. No-win. But then, in the lobby at Star Cinema, I saw a man and his son, who looked to be about 5 or 6, sitting at one of the tables. Both decked out in full-length red capes. And these weren’t the cool maroon capes that the new Superman wears, but the bright red, old-school Christopher Reeve capes of old. And it suddenly reminded me that, while Superman didn’t mean a lot to me, it meant a lot to somebody. Suddenly, as the lights went down, I was starting to become invested in the hope that “Man of Steel” would get it right. And, as it turns out, I liked it. It was a slow process of winning me over — the early scenes on Krypton seemed unnecessarily busy, as if terrified of losing the audience early. And that oil rig rescue, with a buff, bearded, flaming Henry Cavill, didn’t exactly set the right tone for me either. But when “Man of Steel” started flashing back to Kal-El’s Smallville upbringing — Diane Lane coaxing him lovingly out of a janitor’s closet, Kevin Costner nervously telling him to hide his gifts until the world is ready for them — this movie was fantastic. Costner in particular is just so good as Pa Kent — that last moment during the tornado just wrecks you — and I love how together, without ever meeting, he and Russell Crowe’s Jor-el work in tandem as fathers for Clark, giving him the parenting he needs when he needs it. It’s that stuff that really grounds the film, and gives weight to the theme of Superman being a protector of the world, something the movie takes very seriously. 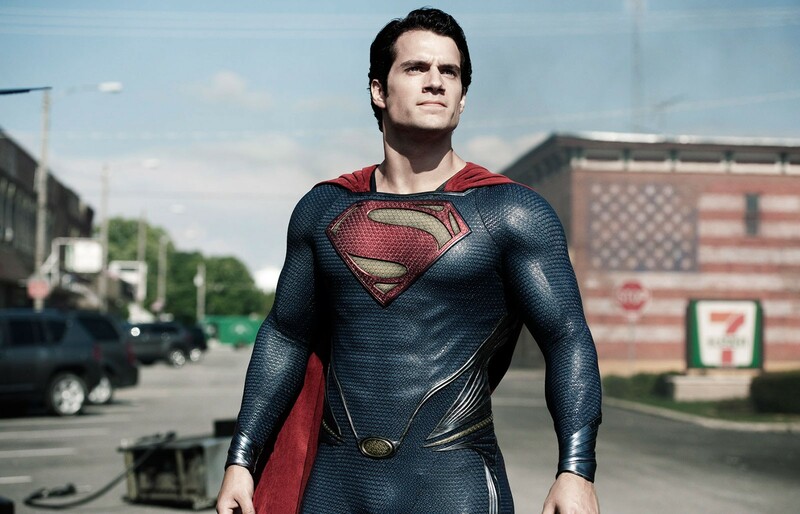 At first I worried that Cavill would just be an empty red-and-blue suit, and being just Superman and not Clark Kent doesn’t give an actor a lot to work with. But I thought he sold it, sold the audience on this idea that he’s this nearly godlike being who has chosen to serve beings much weaker than him. And then we get into all the punching and explosions and building toppling, and that’s great — the visual effects are top-notch. I will say that director Zach Snyder continues his streak of not really caring what real people are doing — Amy Adams gets some nice moments as Lois Lane, but for the most part the human race is relegated to bystanders, watching as the big boys go at it. For all the talk on what the revelation of Superman’s existence would do to the human race, we hardly ever see that effect — we hardly see him inspire anybody. The movie could have used a scene like the subway train scene in “Spider-Man 2,” when the passengers rise up to try to protect Spider-Man from Doc Ock. Although I appreciate any superhero movie that allows Toby from “The West Wing” to save the day. But “Man of Steel” is an authentic, sincere take on the Superman story; it isn’t just trying to riff off previous versions with in-jokes and references, but to find a different, larger-canvas way to tell that story from scratch. And although it looks expensive and in many ways is subservient to the needs of today’s IMAX 3D summer blockbusters, the heart is still intact. I didn’t love “Man of Steel” — not as powerful as “The Dark Knight” movies, not as fun as “Iron Man 3” or “The Avengers.” I would have liked to see someone with a lighter, more human touch take on the same material. But all the same, I liked it more than I thought I would, and thought it puts down a solid foundation to build on in other movies. I think that caped father and son went home happy.